Nothing says it like pictures. The old adage that “a picture is worth a thousand words” applies here! 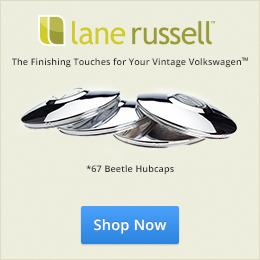 1967beetle.com daily receives many many requests about one-year-only parts (commonly shortened to “OYO”). It makes sense to maintain a photo library of these parts for everyone to access at will. We’ve added a new feature under “ARTICLES” in the site navigation. Simply mouse over, and you’ll see the new addition. One Year Only Parts. 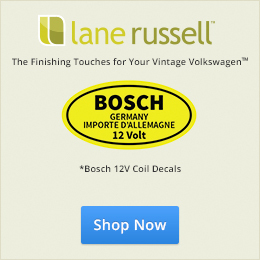 One of the great benefits of such will be to those who are considering the purchase of a 1967 Beetle. A check of 1967beetle.com’s OYO parts photos can help to confirm whether the car in question really sports period correct parts—or not. Another use of this new resource will be the ability to compare parts when searching for a correct replacement part. All of us have had to scour the Internet looking for the proper part, often coming away empty-handed because we didn’t know exactly what we were looking for. Or because incorrect parts were being posted as being the correct parts! The OYO photo library is going to do nothing but grow as photos are added over time. You, the reader, will be asked to contribute to this resource, as well. This is YOUR Resource! Here we go…this “rocket” is blasting off! 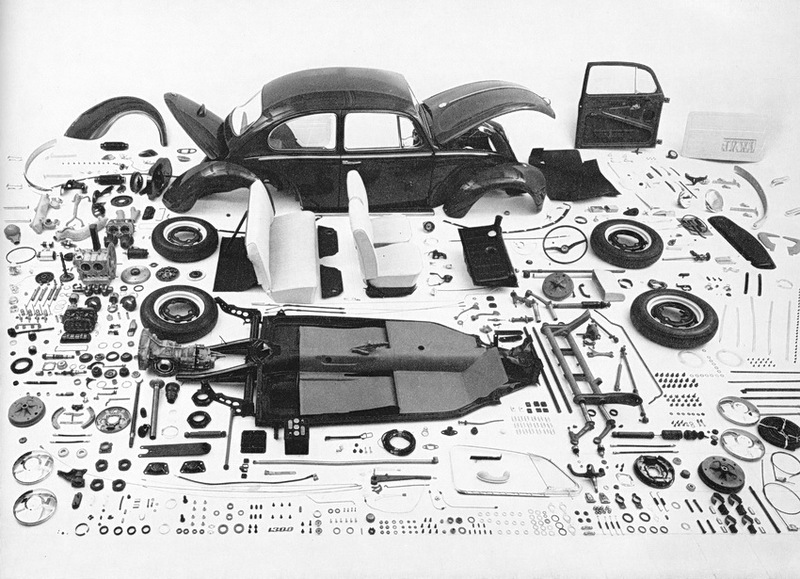 This is a picture of an unassembled1966 VW’s components. Does a picture exist of a 1967 VW like this one? I would LOVE to have a poster-sized copy of either one. Any leads where I could get one? Yes, I knew that. It’s just an implied image to help set up the content. I too would love to see a ’67 Beetle this way. Hello. My first time to send in question but I’ve been reviewing many of your tips and most of the stories sent in by other 67 owners. I’d like to send in a story with a bit of history and will do so later. I’m not sure I’m at the right spot to do that. For now I wanted to ask about balancing the VW steel wheels. My 67 Convertible needed tires really bad. I found some new 165’s but after the installation was told the wheels weren’t balanced because they didn’t have the equipment to balance the VW steel wheel. Previously I owned a 1970 MGB with steel wheels and the same issue. I live in Illinois where many shop’s walk away from these kinds of wheels. I found an “old school” tire shop in Michigan that had a “non-hub-centric balancing adapter”. They were able to do the job. My car isn’t ready for that trip so I was wondering if anybody in the Illinois – south suburbs of Chicago knows where I could get these tires balanced. You want to use a “bubble balance” for sure.. The new type simply don’t do the job. I can’t speak for Chicago, however. Anyone else? We would love to showcase your story. Email me anytime. Fantastic – thanks for this. Everyday I look forward to the website. Once again I want to give a shout out to Jay who continues to help me. Thanks Jay! The best resource world wide. Is it possible to put part numbers to the pictures also! Keep it up everyone. Without a doubt, I have referred to this article time and time again. Jay’s articulation of each of the one year parts is the authority of 67′ resources. Great Stuff!